Baton Rouge Water Company, a water utility company serving private and commercial customers in Louisiana has selected Striata and payment provider Speedpay®​ ​service ​​​​(A Western Union Company) to deliver its email bills and those of its affiliate companies, namely Parish Water, Ascension Water, Louisiana Water and French Settlement Water companies. 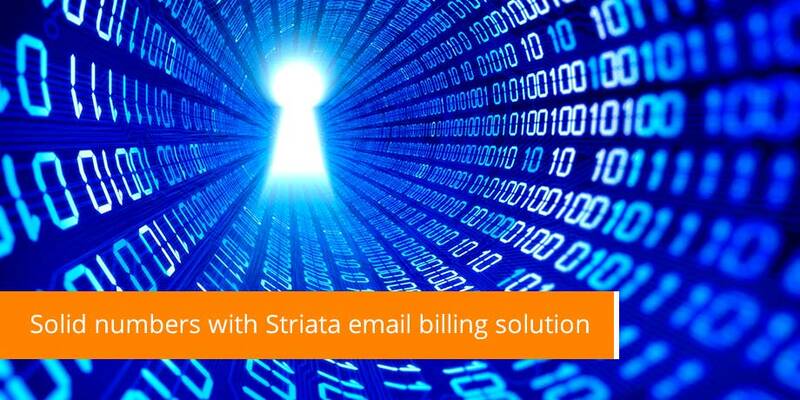 Striata continues to acquire more utility customers globally, that benefit from sending bills via email to both commercial and residential customers. With billing platforms now optimized to dramatically lower costs, these utilities no longer have to pass the ever-increasing paper and postage expenses onto their customers. “Utilities that have implemented email billing as part of their paperless strategies are experiencing a surge in electronic payments and paper turn off. One large North American utility client recently achieved in excess of 20% adoption within the first 120 days with Striata email billing,” explains Striata. With payment provider Speedpay®​ ​service, Striata email billing is able to provide a unique integrated electronic payment capability, which allows customers to make payments with a single click from within the electronic bill itself via multiple payments types (ACH, Debit, Credit or ATM Cards). Saving more than 90% of the cost of each bill, this novel integration of payment with presentation is helping to protect utilities from the current economic challenges. “We have only recently gone live with Striata’s Solution and couldn’t be happier with the results thus far. Even before a full enrollment campaign has been released, we are already seeing some really solid numbers and look forward to impressive adoption rates once the campaign is in full swing. Our customers have been pleased with the presentation and payment process of the bills and everything is running smoothly,” says Dave Kercher, Manager of Customer Service, Baton Rouge Water Company. In addition to the reduction in postage, paper and delivery costs through paper turn off, Striata’s email solution is also assisting utilities to reduce DSO (Days Sales Outstanding) due to the enhanced customer convenience of being able to pay from directly within the emailed bill. “We have seen impressive DSO reductions throughout our client base and across the various market sectors in which we operate. As an example, one of our large utility clients in Colorado measured its DSO through paper billing and their website eBilling solution at 44 days – since implementing the Striata solution, the email billing customers DSO is only 9 days. This is further proof that a presentment and payment offering delivered directly to the customer has far reaching benefits to our clients,” concluded Striata.